The easy way to remove hair and fur from your clothes, furniture, and fabrics. 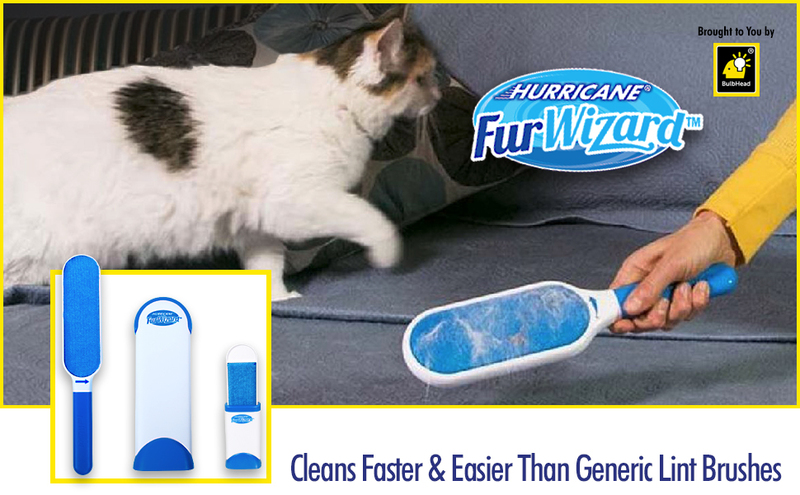 Harness Hurricane cleaning power with the Hurricane Fur Wizard. 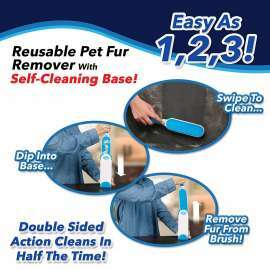 The extra-large, double-sided, self-cleaning lint brush tackles the impossible task of removing unwanted pet fur, lint, and hair from you clothes and fabric surfaces. 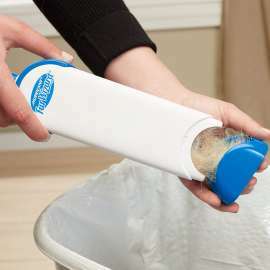 Hurricane Fur Wizard captures fur and lint in 2x the time of a single-sided lint brush. You waste sheet after sheet using a standard tape lint rollers for pet hair. When you use Hurricane Fur Wizard, you’ll never spend money on another refill again. There’s no refills, no tape, and no messes. Everyone knows that pet rollers are must for pet guardians. A must-have for you clothes! 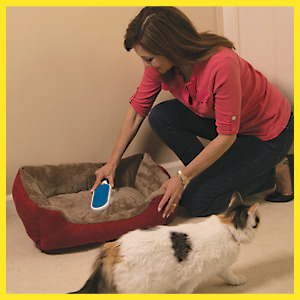 And it’s the purrfect pet hair remover for furniture. Hurricane Fur Wizard saves you time and money. 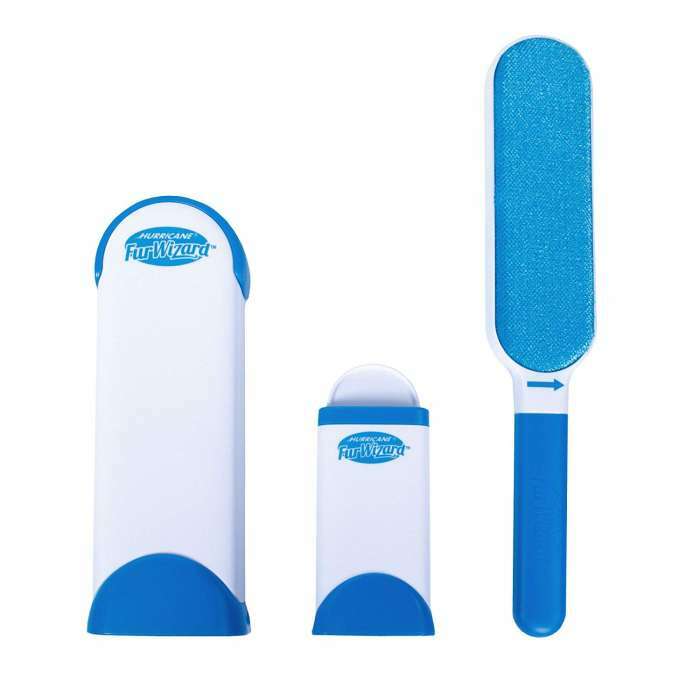 The Hurricane family brings you best-selling cleaning tools that make cleaning faster and easier. 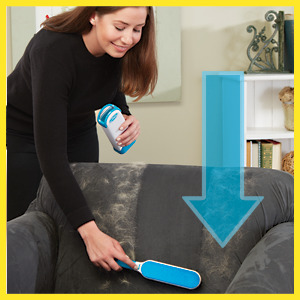 Spin away dirt and grime from your mop head with the award-winning Hurricane Spin Mop cleaning system, take sweeping to the next level when you use Hurricane Spin Broom, blast away filth with the Hurricane Spin Scrubber, and brush away fur and lint from fabrics 2x faster with Hurricane Fur Wizard lint remover. Getting the most out of your Hurricane Fur Wizard. To make sure you get the optimal clean using your Hurricane Fur Wizard, it is important that you brush in the direction of the arrow. Place Hurricane Fur Wizard at one end of your shirt, pants, couch cushion, or pet bed. Moving Hurricane Fur Wizard in a back-and-forth motion or in an opposite direction of the arrow may give you undesirable results, not picking up hair, lint, and fur as it should. Picks up a variety of messes. Hurricane Fur Wizard is ready for your challenge. Your ordinary lint brush may pick up hair and fur, but can it clean itself? Hurricane Fur Wizard includes a self-cleaning base so you never have to touch the mess on the lint brush. Cleaning is a cinch! The self-cleaning base is lined with the same microfiber bristles that line the Hurricane Fur Wizard lint brush. Just dip Hurricane Fur Wizard into the self-cleaning base to remove the mess. Fur collects into the collection tray at the bottom the base. Empty the tray and dispose of the mess in trash. It’s that easy! Travel companion for on-the-go messes. For quick cleanups of your vehicle upholstery or your clothes, the travel-sized Hurricane Fur Wizard is your go-to lint brush. The compact design allows you to comfortably carry it in your bag or glove compartment. The travel-sized Hurricane Fur Wizard has all the features of the standard size Fur Wizard, including the self-cleaning base. Just pop up the top to reveal the lint brush, use the base as a handle, and sweep in the direction of the arrow. 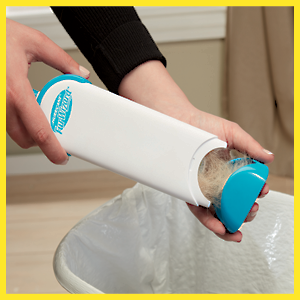 A small collection tray at the bottom of the base is removable so you can easily dispose of the mess.